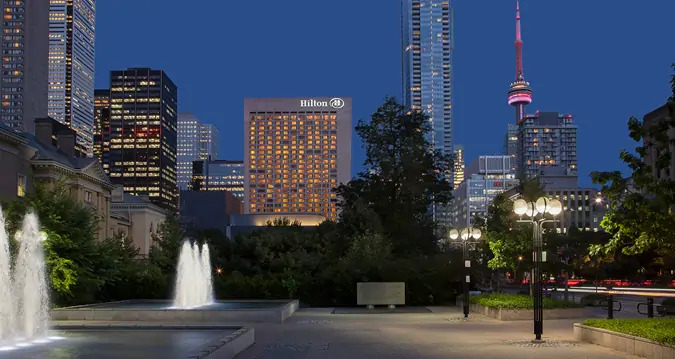 The Toronto Hilton Hotel has been selected as the host hotel for CMA 2019! A block of rooms has been reserved for delegates. The special conference rate of $199.00 (+ taxes) is SOLD OUT. A few Deluxe King rooms are available at a reduced rate of $259 (+ taxes). We encourage you to make your reservation as soon as possible and no later than March 19, 2019. UP Express connects Toronto Pearson International Airport to Union Station in the heart of downtown Toronto in just 25 stress-free minutes — less than half the time it often takes by car. Trains leave every 15 minutes with the first train departing Pearson Station at 05:27 and the last train departing at 00:57. There’s no easier or more convenient way to get to or from Toronto Pearson. Just visit UPexpress.com before April 14, 2019 and use promo code CMA2019 to get your 25% discount on adult return tickets (round-trip) from Pearson Station to Union Station (regular price $24.70 * CAD). Tickets are valid for 1 year.